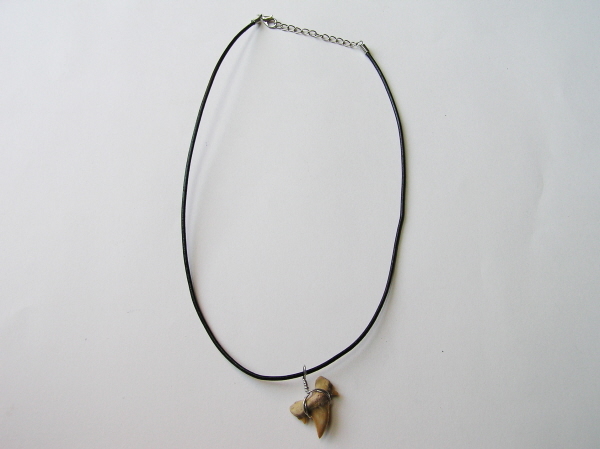 This is a super pendant made from a superbly chunky fossil Otodus Shark tooth strung from a length of black leather cord. We created this pendant from a request from a customer who wanted some fossil jewellery for their child. They felt that silver chains would be too fragile for the vigour of youth! The tooth won't be this exact one, but very similar . 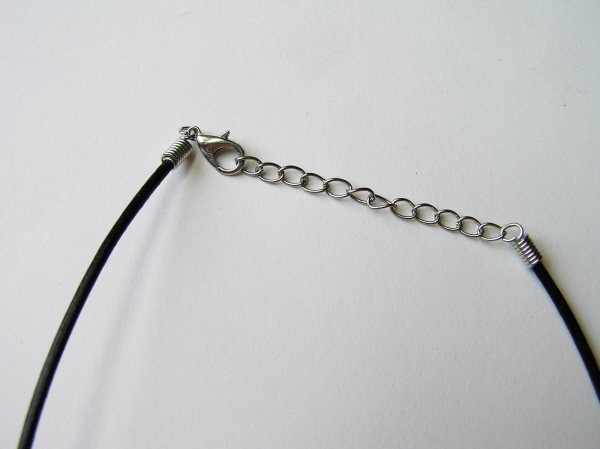 They measure roughly 2.5cm and has gorgeous creamy enamel and many even have a small cusplet tooth or two at the sides. 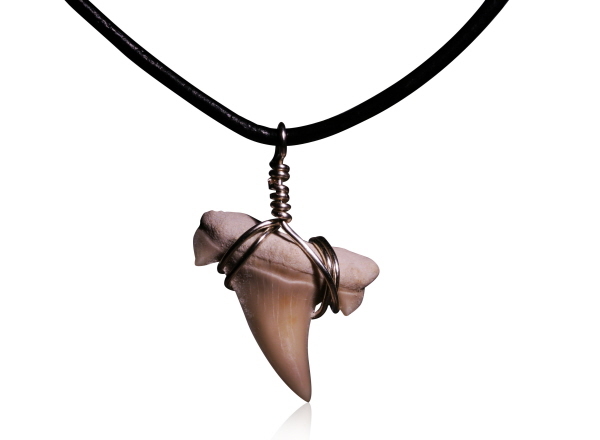 The necklace will arrive gift wrapped in tissue paper - and you will also receive a full colour certificate of authenticity with information on the shark and a unique holographic serial number. The pendant would make a superb gift for any young fossil fan - or just one that is young at heart!